Also known as the Citron-Crested or Sumba Cockatoo (Cacatua sulphurea citroncristata), this beautiful parrot stands out among its relatives for a number of reasons. Although restricted in range to a single Indonesian island, it has done well in the hands of private breeders, and captive-born individuals are available in the trade. Today I’d like to take a look at its natural history and captive care. The Citron Cockatoo is one of 6 subspecies of the Lesser Sulphur-Crested Cockatoo, and is distinguished by being the smallest (12 inches in length) in size and number, and in being the only one with an orange crest (others sport yellow crests, please see photo). The effect of the orange crest and ear coverts against the white plumage, offset by yellow feathers on the undersides of the wings and tail, is startling. All 6 subspecies of the Lesser Sulphur-Crested Cockatoo are listed on CITES Appendix I and considered Threatened or Critically Endangered by the IUCN. The Citron Cockatoo is of particular concern, as it is found only on Sumba, which is northwest of Australia, near the better-known islands of Palau and Timor. Within its tiny natural range, the Citron Cockatoo relies upon closed-canopy forest (please see photo). Unfortunately, this habitat is disappearing rapidly due to logging activities, placing the bird at even greater risk. In 1992, a CITES (Convention on International Trade in Endangered Species) based program was instituted in order to help stop the Citron Cockatoo’s march towards extinction. The collection of wild birds and habitat loss due to logging and development were identified as key threats to its continued survival. Competition for scarce nesting sites (hollows in forest trees, high above-ground) from owls and larger parrots was adding to the problems faced by the Citron Cockatoo. In the years since the recovery effort began, Citron Cockatoo numbers have been slowly but steadily increasing. As with any animal that lives on a small island, however, even natural events such as storms can spell overnight disaster. 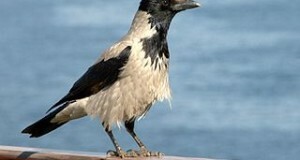 Therefore, conservationists remain focused on this bird and consider its future very much at risk. Citron Cockatoos are more likely to be found among private breeders than in pet stores. Although the captive population is not large, breeding successes are regularly obtained. One reason for this is that mated pairs make unusually good parents if they are provided with proper accommodations. Both incubate their 2-3 eggs – the female by night and the male by day – for 1 month. The young fledge at approximately 90 days of age but are fed by their parents for quite a long while thereafter. Once the parents mate again and begin to nest, their formerly “spoiled” chicks are often attacked and hence must be relocated to new quarters. Citron Cockatoos are often friendly and curious, and are considered to be among the quietest of the group (note: that’s “quiet” by parrot standards!). 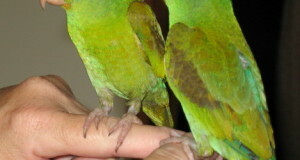 Like all cockatoos, they need even more human contact than other parrots if they are to remain sociable and stress-free. A large indoor cage or outdoor aviary, along with ample out-of-cage time, is absolutely essential to their well-being. Please write in if you need detailed information on their care and feeding. Citron Cockatoo natural history and conservation. Citrons are great performers – please check out this video. I need to find a home for my mother’s Citron Cockatoo. He is probably about 20 years old. Any suggestions? I would prefer a zoo or something similar. Zoos are almost never an option, unless the bird fits a particular need, i.e. for a handleable animal in an education dept. 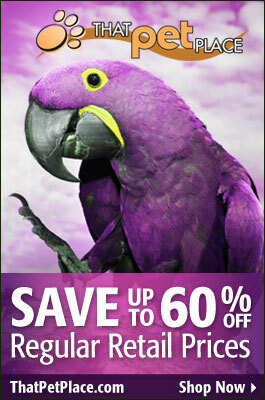 A better option would be to contact local bird clubs or parrot interest groups; most will help in finding a new home. Unfortunately, there is a huge backlog of unwanted parrots in the USA, it may take time. Please let me know if you need help in locating local bird clubs, etc. What state do you live in? I know some reputable rescues and foster homes throughout the US I can refer you to if you are still looking to rehome the bird. Please don’t sell the bird or give it to a zoo. There are some wonderful sanctuaries also where the bird can live out the rest of it’s life just being a bird. Hope that helps, let me know.